Dennis Lowery has had two ghostwriting projects (creative nonfiction and a novel) for clients optioned for film rights or screenplay development. Taking what’s been written… and making it better. Custom – White Label – Publishing Services Available. For Self-Publishers and Organizations: We can help develop your manuscript and then coordinate and manage all stages to turn it into a print or publication-ready bookblock and cover. 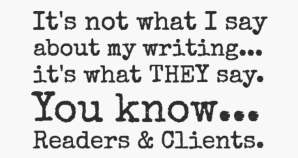 Do you have a writing project (whether long or short nonfiction or fiction… business or career-related, a brand story or company (perhaps a founder or executive) profile or history… or maybe a personal story like a memoir or autobiography) that you need help with?